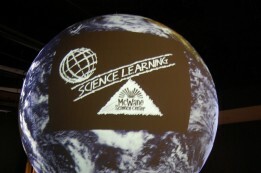 McWane Science Center is fueled by imagination. Powered by curiosity. Funded by you. As a nonprofit institution, we rely on generous contributions from individuals, corporations, foundations, organizations and public agencies. Your donation will help us maintain our many science literacy programs and world-class exhibits so adults and kids alike can continue to enjoy the wonders of science. A child’s mind, whether engaged in active learning or imaginative play, is full of potential. The future belongs to those who understand and can use science. Your gift will help make science come alive and inspire children of all ages for years to come. Please choose your level of giving. If you have selected a Matching Gift, please submit your company match form via mail, the mailing address will be in your confirmation e-mail.